She was born in Oswego Hospital on Nov. 8, 2010. She is the daughter of Shelayna and Joshua Snow, of Oswego. I just want to Congratulate both Mama and Papa Snow… Now I hope we don’t have that blizzard everyone is talking about! Just kidding. I pray, you all have a wonderful life with your two little girls. Enjoy them in everything they do. After all, they are all miracles of our almighty God! I love you both and then there were four. 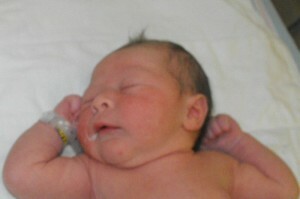 Congatulations Shelayna & Josh on your new beautiful addition to your family. I am sure Rose will enjoy being a big sister. Congrats Shelayna and Josh…and to all of the family as well…She is gorgeous! !